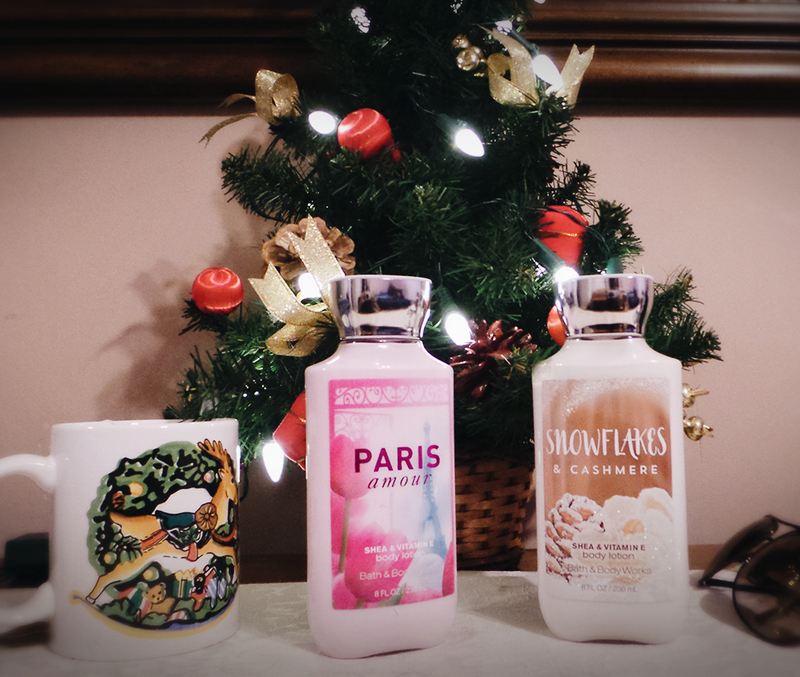 Daytime : Special winter edition – Snowflakes & Cashmere body lotion by Bath and Bodyworks. This has an amazing warm and cozy feel to it. It is mildly scented and extremely moisturising. A perfect pick for your day at work. Aloe vera and Vitamin E combined with Shea Butter makes it totally irresistible. The packaging is glitzy yet elegant enough to consider as a holiday gift option. I love this limited edition and is my current day time lotion pick for the season. Nighttime : Paris Amour Body lotion by Bath & body works : it is extremely feminine and a perfect scent for a night out. It is immensely smooth, blends well into the skin and has a refreshing fragrance attached to it. It is a perfect mix of tulips, strawberries grinded with pink champagne. This lotion is truly rich and has an luxurious feel to it. We all know how harsh winters are on our skin, so love your skin by pampering them with lots of moisturing lotions this festive season!. These sound like great scents! I would like to have it some of this body lotion. 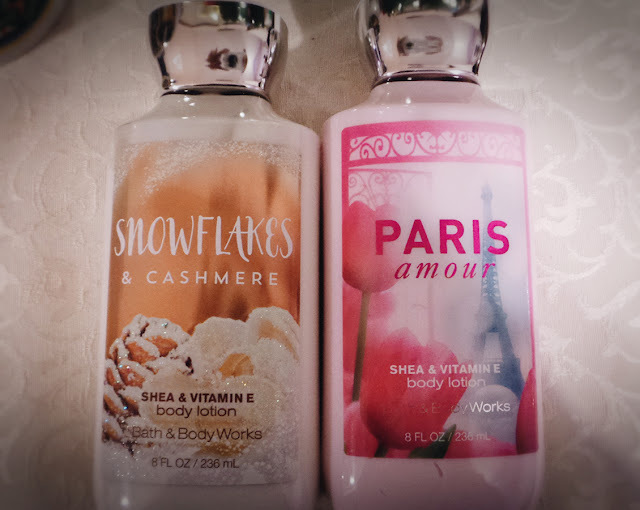 I wish we had bath & bodyworks in the UK as these both sound great! They both sound lovely, I've not tried them as we don't have Bath and Bodyworks in the Uk.